Icon Oprah Winfrey has embraced her role as one of the most positive and powerful people on earth, and there seems to be no end in sight. Oprah has battled criticism, lawsuits, and competition, only to emerge victorious with only a few scratches. Her humanitarianism is remarkable and her commitment to education and conquering personal setbacks has inspired people to better themselves and community. There is not much a person can say about OPRAH WINFREY, she has conquered the world, and will be in the hearts and soul of people forever. This book is a poetic journey for the Queen of Television and radio. 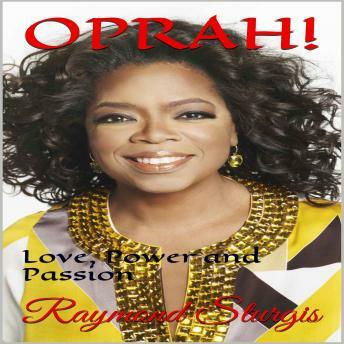 Although many writers comprised their works on the controversy and fabrications surrounding Oprah Winfrey, none will come close to the kindness and illustrations Raymond Sturgis book dedicates to her.